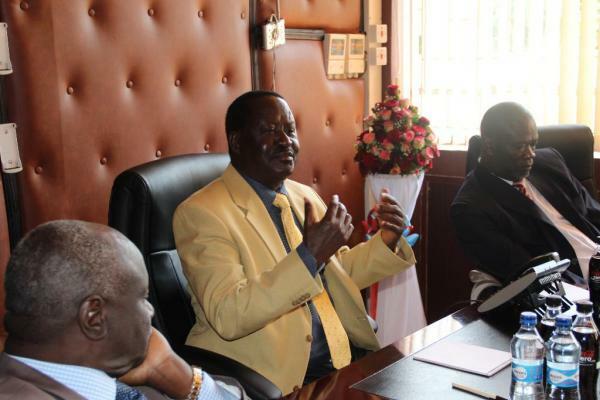 ODM has condemned assertions made by kiambu governor william kabogo, after he said how foreskins made people not to think properly. Yesterday the ODM Nairobi officials said Kabogo "stooped too low" by attacking leader Raila Odinga's privacy, adding the statement was offensive to communities that "don’t practice some cultures". They also said that the governor demeaned the judiciary by saying the he is ready to do anything whatsoever which includes spending his money to buy justice. Kabogo, who was speaking at thika stadium caused controversy especially to the ODM supporters when he allegedly insulted their leader calling him uncircumcised and a fool who doesn't think properly because of his condition. The party leaders said that it is very unfortunate that kabogo was referring to Raila as Kihii and foolish instead of preaching cohesion to the people of his county.